Recently updated 2 bdrm Corner Unit in one of the best locations in the building! This bright & spacious corner layout includes a galley Kitchen open to Dining rm & Living rm, generous sized Master Bdrm with private access to bathroom, in-suite laundry, and more! Recent updates include: Laminate Flooring in main living areas, Bathroom updates in recent years, 6 Year Old Roof with Warranty & more. The quiet courtyard view from your patio truly makes this one of the best location in the building. Minutes from new & upcoming shops, amenities of Abbotsford, & the convenience of the local University make this a sought after location. 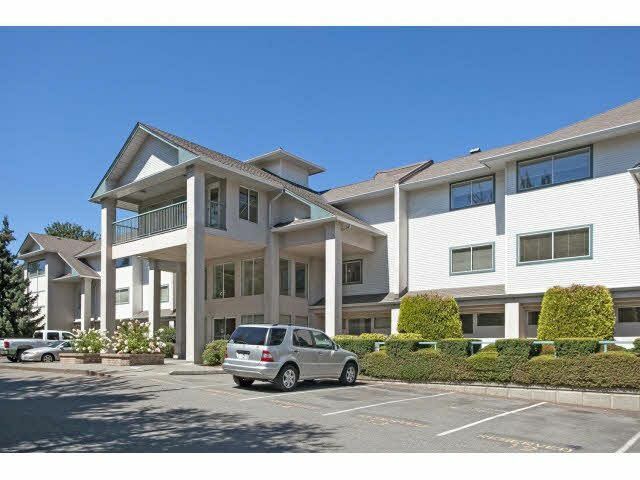 Secured underground parking, storage locker, manicured landscaping & pets allowed complete this condo!